Pure Pink is one of our most gorgeous bouquets with pink roses, striking stargazer lilies, gorgeous germini flowers framed with tropical palm and complimenting foliage. 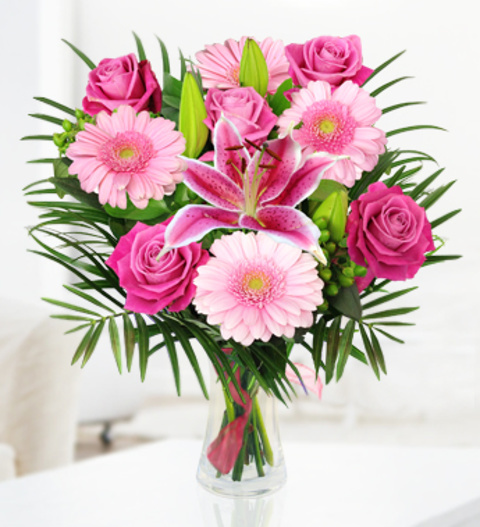 Pure Pink is a bouquet that is perfect for all occasions whether it be for an anniversary or birthday and is available for delivery today! Order by 3pm for same day delivery.